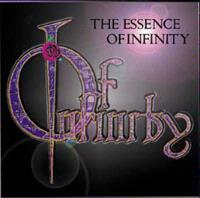 Of Infinity is a new name on the melodic/progressive metal scene. Don't let that fool you, though as they have a lot of talent. The band was formed in 1999 by guitarist Nazareth Sando (formerly of Fallen Empire) and vocalist Alessandra Zinicola. Eventually they added bassist Kurtis Kyllo and drummer, Carlos Teller to finish up the lineup. "The Essence of Infinity" is their first release. It is a three song EP that showcases a band that is quite adept at both songwriting and performing. The only two real drawbacks to this are the fact that it is so short, and the production. In my book the hardest instruments for a producer to get right are the drums and the vocals. Well, on this release the drums are fine, the vocals, though come across a little harsh at times. It has nothing to do with the vocal performance or quality, but rather with the production. Doing voices right takes a special touch in the studio, and obviously this group should have opted for someone else at the controls. Still, Zinicola's voice is powerful and beautiful. At times she calls to mind such female vocal powerhouses as Lana Lane, Annie Haslam and Doro Pesch. With a list like that you can't go wrong. And, as the fact that two of those three are prog singers suggests, much of the material here leans heavily toward the prog end of the spectrum. It definitely is heavy metal, but there are a lot of intriguing song structures, attention to melodic sounds and intricate layerings to give this one a major prog touch. Overall this disc is quite good. I'd really like to hear more from the band. Next time I hope they get a better production on it, and give us more than 3 songs. For more information or to purchase the disc (upside of it being an EP - only 5 bucks), stop by their website at www.ofinfinity.com. A dramatic epic sounding progressive metal segment starts this. As the vocals enter they bring in a Lana Lane type sound. They drop this cut down a bit later to just acoustic, then a keyboard oriented ballad section takes it. The vocals here feel a bit like a cross between Lane and Annie Haslam. They build on this for a while then jump back to the metal fury. Eventually the more prog ballad approach returns. A beautiful piano driven segment takes it later, the vocal segments here working especially well. They jump it back up to the melodic epic metal segment afterward, this time seeming to pull in shades of Warlock. It drops later to some ambient music that feels like it would have fit well in a horror film soundtrack. Acoustic guitar and violin start this, playing along voicelessly to serve as the intro. Eventually this jumps back up to the metal, very crunchy and heavy and a bit more straightforward than the last track. It turns more intricate later, but the progression remains much the same. This wanders into a still very heavy, but more proggy instrumental segment later. That section is pretty stellar. The violin even returns during this one. They eventually modulate it down to serve as the outro. This one starts with piano then a dramatic straightforward metal mode takes it. This then turns into the most solidly prog verse of the disc. This gets quite heavy, but in many ways is nearly pure prog. This rocker is arguably the best on the disc. It drops back to just piano for a verse later, then the guitar takes a tasty solo. A dramatic, slightly dissonant (at first) segment takes the track later. 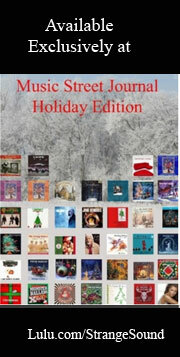 This builds in a neo classical and very powerful melancholy prog melody to end the disc.